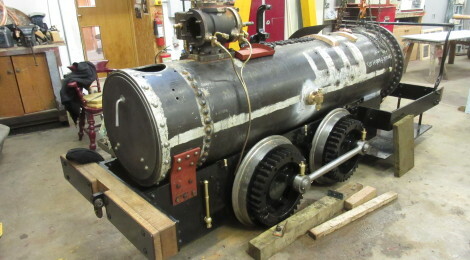 Below: The boiler was unloaded and placed onto the frames on temporary bearers, before the overhead cranes were used to enable an element of precision in its fitting down onto the frames and expansion brackets (which support the firebox end and allow for expansion of the boiler when it is hot). 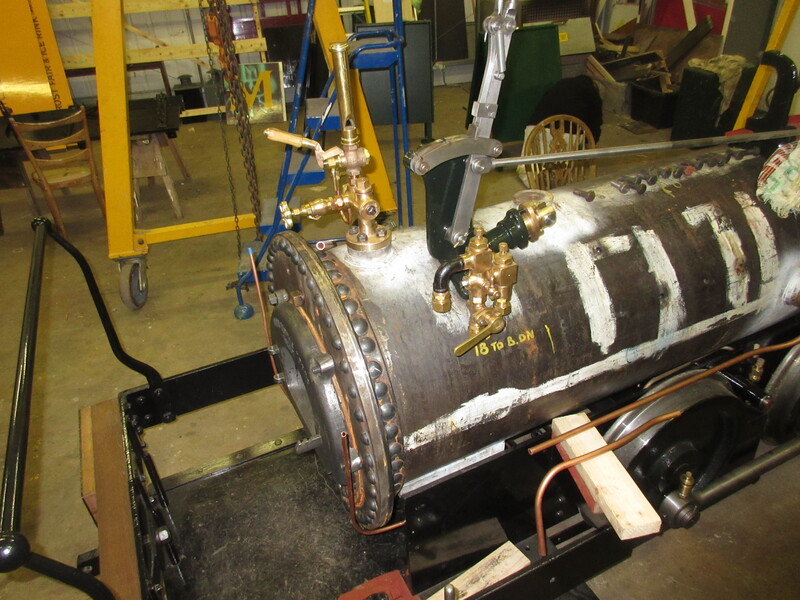 Below: Various parts not previously painted are now receiving attention ahead of installation onto the boiler. 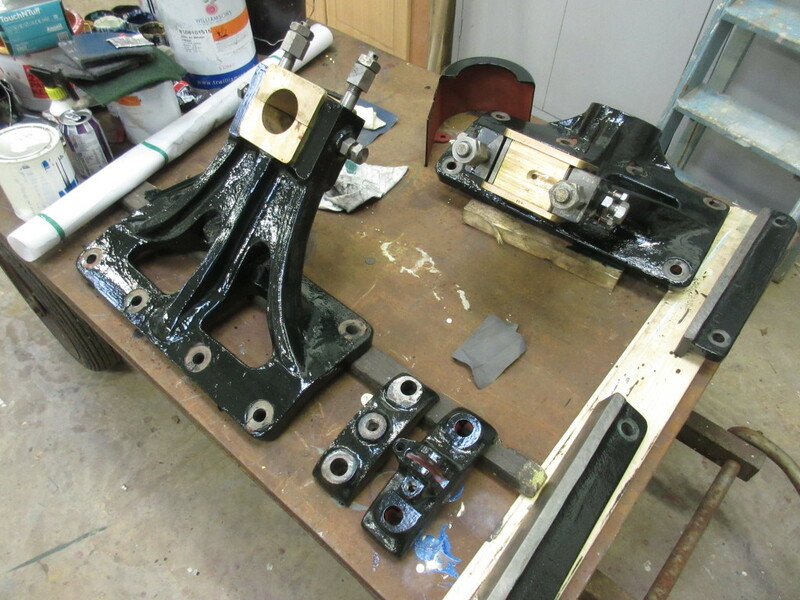 Here the two crankshaft pedestals dominate the view. 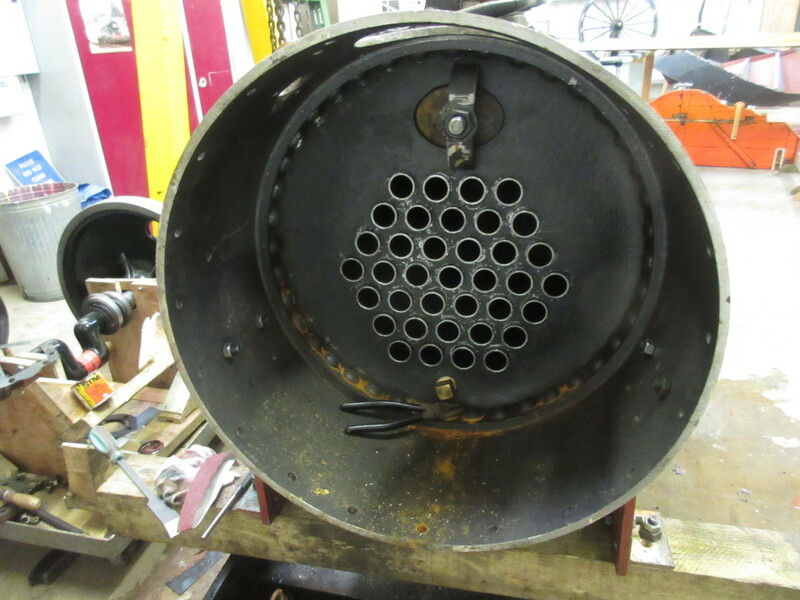 Below: A view of the smokebox before the angle ring and chimney were fitted. The rivets on the tubeplate had given some trouble in caulking due to the small diameter of the boiler and the narrow ring – fitting tooling, air hammer or boilersmith inside this area had proved to be a challenge! 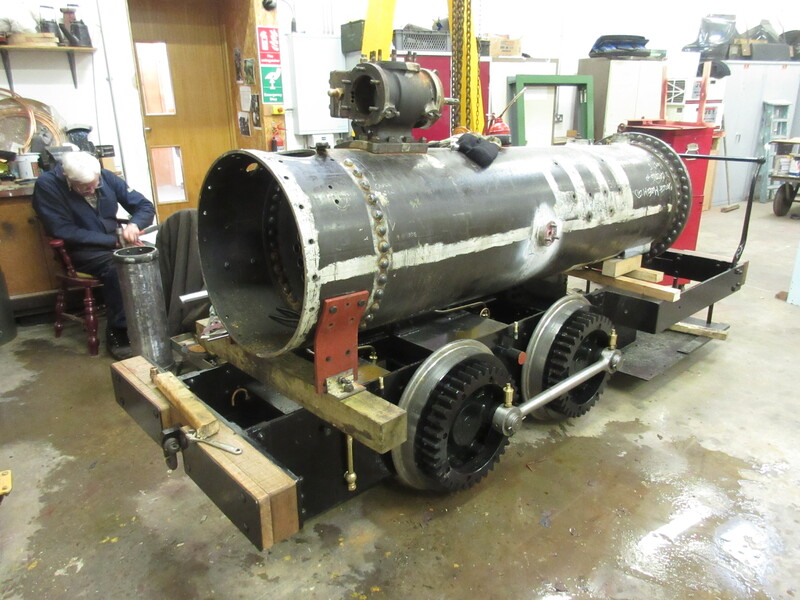 Below: The boiler was soon settled onto the frames and parts began emerging from cupboards for assembly onto the locomotive. Below: A very proud Dave after assembly began! 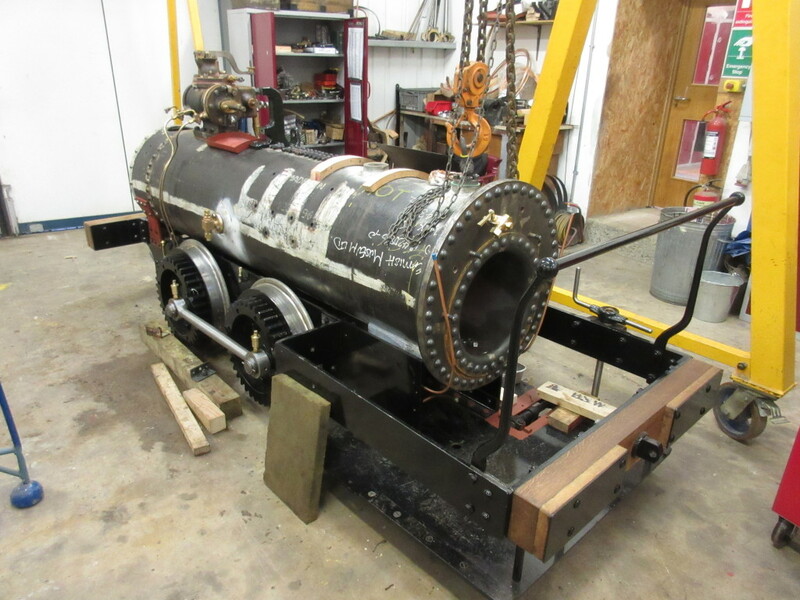 Below: Dave is now forging ahead with the assembly of the pipework, a job requiring a high degree of patience and persistence to achieve a neat job! Great to see this progress, Paul. 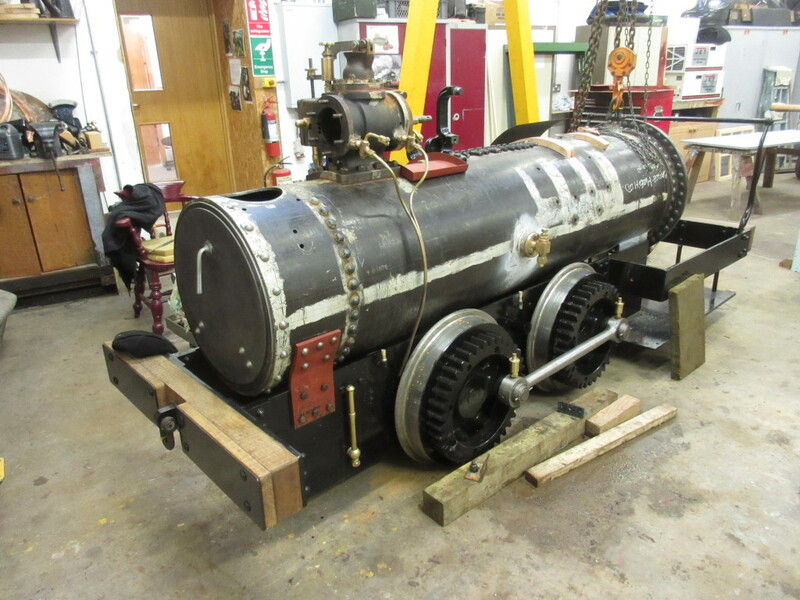 Finding “Samson” on the internet at the beginning of the build encouraged me to sign-up for updates from Beamish. 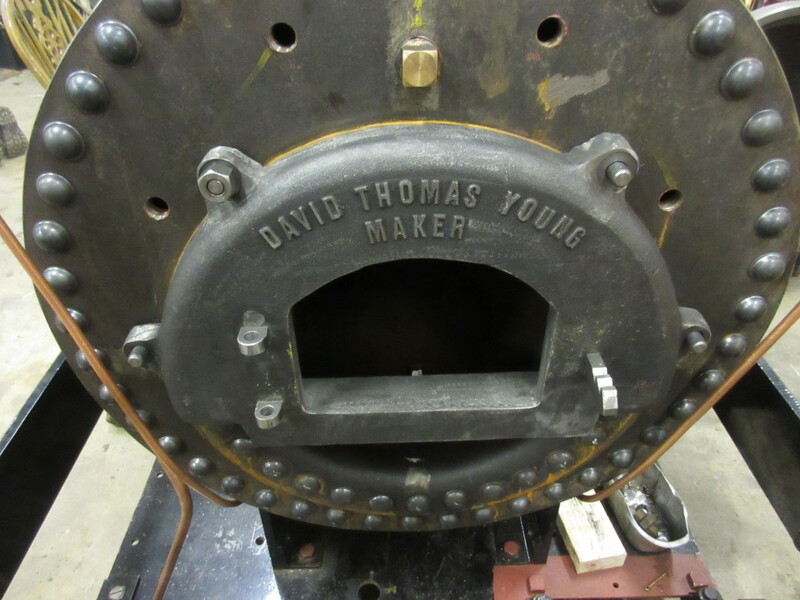 It has been a revelation to me to see just what is involved in high-quality museum restoration, renovation and conservation. 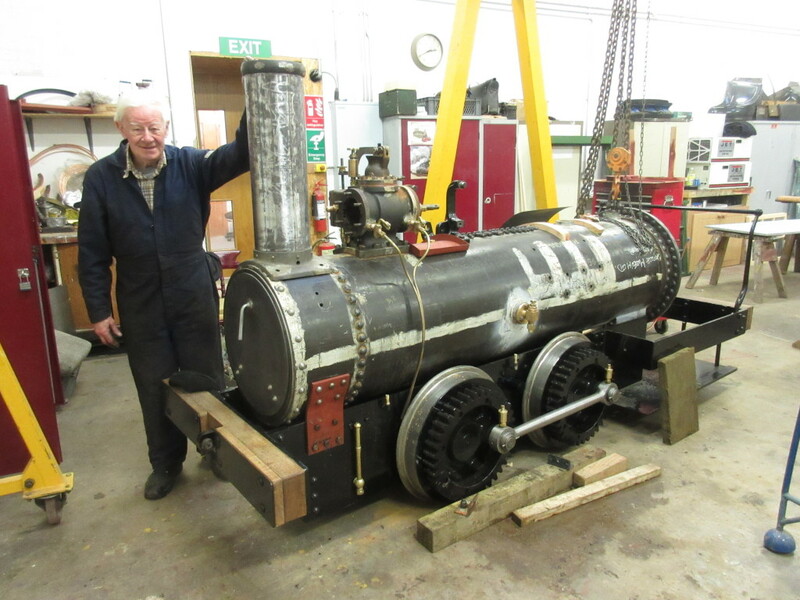 The the work you and the team have turned out in the past months is quite staggering; it has also been an incentive to me to sort my workshop out, so that I can get on with some serious model engineering. 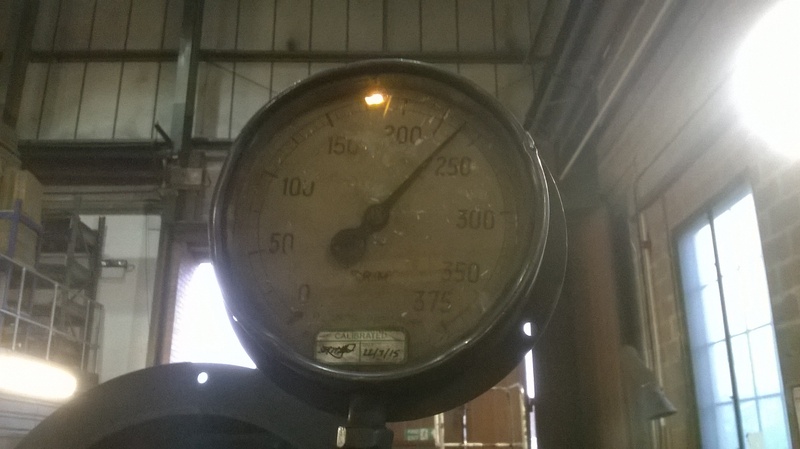 I rather fancy a 5-inch gauge “Samson” – it would be quite a model! Thanks once again for the updates, and best wishes to you all for Christmas and the New Year.